The N2W industry partners are New Zealand Rugby and Auckland Rugby who work closely in collaboration with AUT SPRINZ (Sports Performance Research Institute New Zealand) researchers. Both industry partners contribute financially and have imbedded key staff in the core project team. New Zealand Rugby and Auckland Rugby are contributing to N2W’s design and implementation throughout all phases of the project. The enthusiasm and drive our partners demonstrate shows their level of commitment to influencing and effecting change within the current rugby system. The New Zealand Coaching & Mentoring Centre (NZCMC) and LEAD Centre for Not-for-Profit Leadership are recognised leaders in their fields – professional coaching and mentoring services and leadership development in the not-for-profit and Pacific sectors, respectively. They work with organisations wanting more strategic mentoring and coaching approaches to enhance leadership and learning. The New Zealand Coaching & Mentoring Centre and Lead Centre are our programme partners for the delivery of the Pacific Leadership programme and the Club Leadership programme. 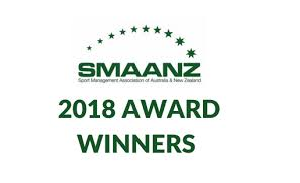 The Navigating Two Worlds project received the 2018 Sport Management Association of Australia and New Zealand (SMAANZ) Industry Engagement Award. N2W is also proudly supported by Aktive Auckland Sport & Recreation's Targeted Population Fund. N2W is encapsulated within an action research framework, underpinned by the notion of leadership as a social construction. The iterative, practical and collaborative nature of action research provides multiple points for reflection, feedback and evaluation during the project and at project completion. It also allows for each key stakeholder groups (AUT SPRINZ, New Zealand Rugby, Auckland Rugby, including Pacific community members) to be important contributors on all aspects of the project planning, implementation, delivery and evaluation. This innovative engagement brings together research and practice, where those most affected by the intended changes are highly engaged in creating change. Learning as action and change takes place also provides a rich environment to advance concepts and theory associated with sport leadership, specifically, the social construction of sport leadership and the role of cultural understanding in developing sport leadership. The change and learning through this research will offer insight about culture and leadership within New Zealand society, by drawing on the context of rugby. Such insights, also relevant for the world stage, will potentially place New Zealand as a lead contributor to changing the conversation about leadership within sport and the influence of non-western culture.